The Nikon F5 was launched in June 1996. The Atlanta Olympics were in Jul-August 1996. Nearly 20 years on the Rio Olympics are in August 2016. I’d place good money we’ll have a Nikon D5 in June 2016. Will it be what the Nikon F5 was to all other 35mm camera’s. I doubt it. I can only hope it’s not just an incremental update from the D4/D4s. It needs to be revolutionary, different and yet respectful of the F5. Could we see the return of a pellicle mirror? What I’d give to be one of the engineers at Nikon working on this. There’s some pressure! I was fortunate enough to review a unique and new product called Meta35 prior to it’s release. Here’s what I made of it. The Meta35 system by Promote Systems allows film photographers to retrieve their shooting data from compatible cameras (selected Canon, Minolta and Nikon models) and embed it into their scanned images. It can also be used to configure and save the camera’s custom functions via the computer. The Meta35 system comes in two parts. The unique USB adaptor with the applicable camera cable and the proprietary Meta35 software. The USB adaptor is made from a hard rubber compound and has the Meta35 logo nicely embossed on top. Importing your shooting data couldn’t be easier. Simply connect the camera via the USB adaptor and turn it on. With the software open, select import data. After the transfer is complete a prompt will ask if you want to delete the data from the camera’s internal memory. You now have a couple of ways in which to use the software. You can either export the shooting data for each roll as a text file (tab or comma separated variables), or you can take it a step further and embed the shooting data into your scanned film images. To do this, load your scanned images by selecting their parent directory. This is where it pays to have your scans sorted by film type and roll shot. Then by including or excluding the shooting data and images you can align them until they match. You can then add any additional information you want to embed like shooting location and copyright. This feature is a real winner. Once you’re happy all you have to do is click embed and your metadata is transferred. The Meta35 system also provides direct control over the camera’s custom functions. 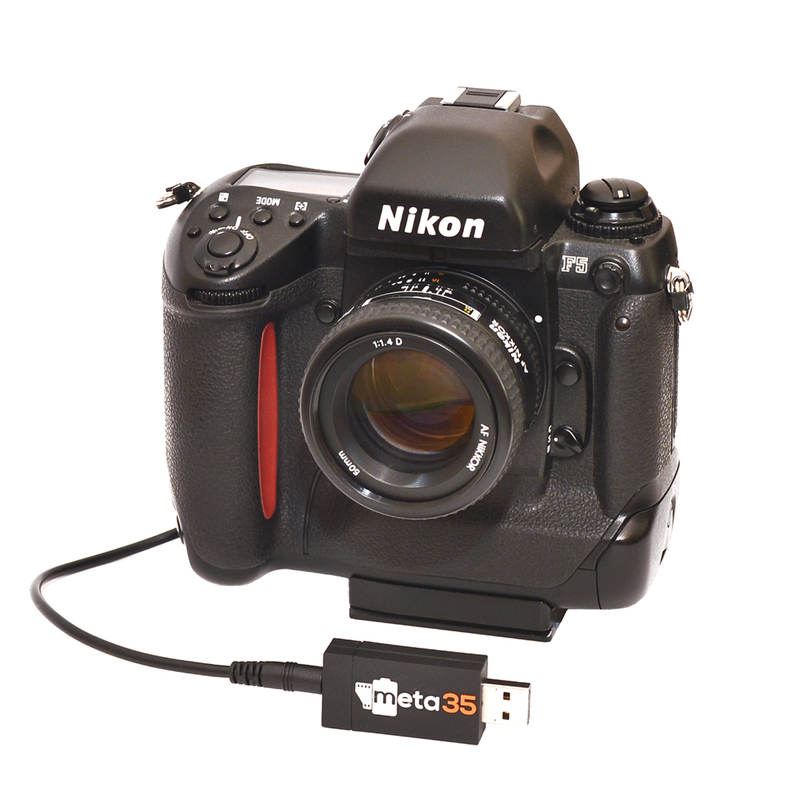 With the camera connected via the USB adaptor, the Meta35 software allows you to change each of the custom functions to suit your needs. You can then save multiple custom profiles to upload for different shooting situations. I found this feature to be a real highlight. Overall the Meta35 system is simple and intuitive to use. This translates to an excellent product produced by Promote Systems. I have no doubt that any subsequent software versions will continue this trend. As Nikon, Canon and Minolta systems are out of date, expensive and no longer supported this system gives current film shooters a real and viable solution for collecting and embedding their shooting data. Tom Hogan’s Complete Guide to the Nikon F5 is available as an eBook from his website. A great resource of information if you found the Nikon manual a bit light on and want to know more about the camera’s custom settings and use of Photo Secretary. 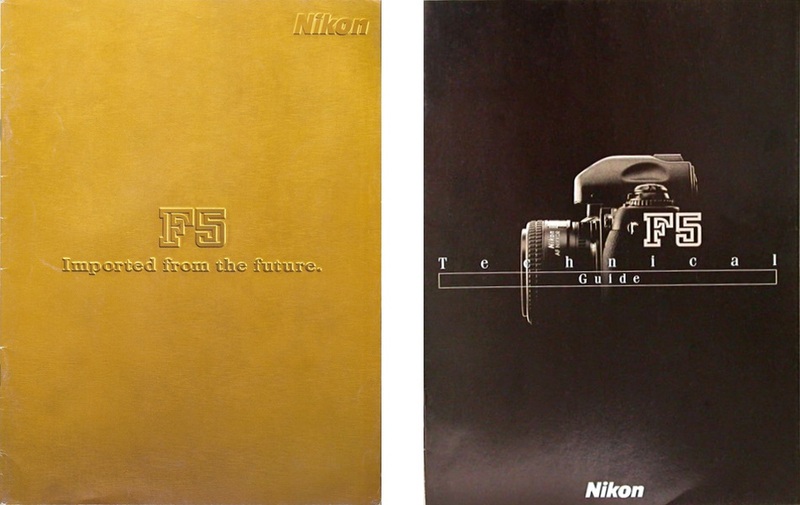 Here is an old Nikon commercial for the Nikon F5. 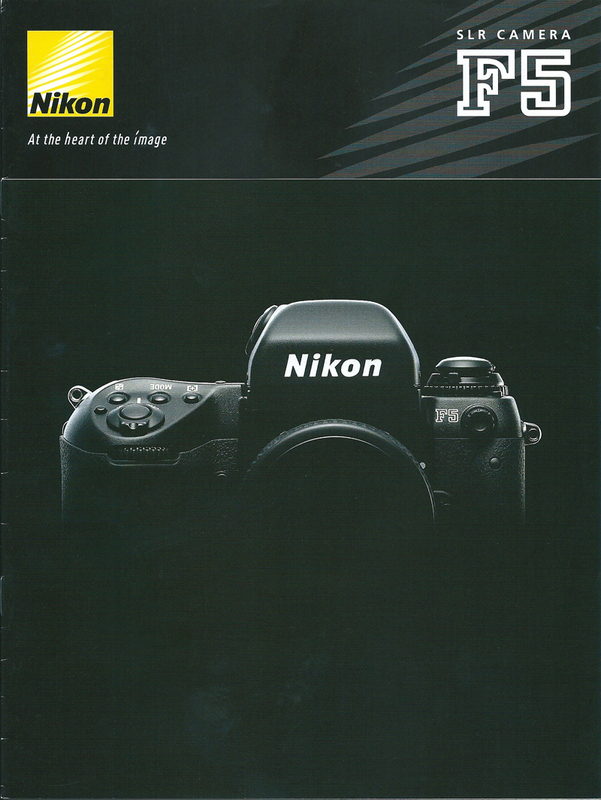 Here is a Nikon F5 catalogue not previously seen. It has much of the same content as the original brochure with the exception that this was printed in 2003 by Nikon Japan. PDF to follow. Here are the two main brochures that Nikon released with the F5. I currently only have a copy of the one on the left however I will provide PDF files of both in due course. 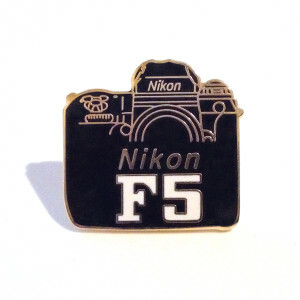 Here is a link to the Nikon F5 Pool on Flickr. Some great images from a great camera, still relevant even today!